Home » Blog » What Happens When 5 Best Chefs Cook Together? What Happens When 5 Best Chefs Cook Together? A group of Best Chefs united in the kitchen in Asheville, NC as part of the James Beard Foundation’s Celebrity Chef Tour. Each crafted two dishes showcasing a variety of cuisines, techniques, and artisan ingredients with an emphasis on cooking southern in a haute style. Everyone on the all-star roster was either a James Beard winner, finalist or semi-finalist or has cooked at the Beard house in the past. The Beard Foundation hosts Celebrity Chef dinners across the country each year to replicate what an event at the actual James Beard house is like. All five chefs involved in this particular locale of the series prepared a different hors d’oeuvre and entrée, with one dessert — pound cake made with chèvre, green strawberry preserves, and strawberry ice cream — as the finale. 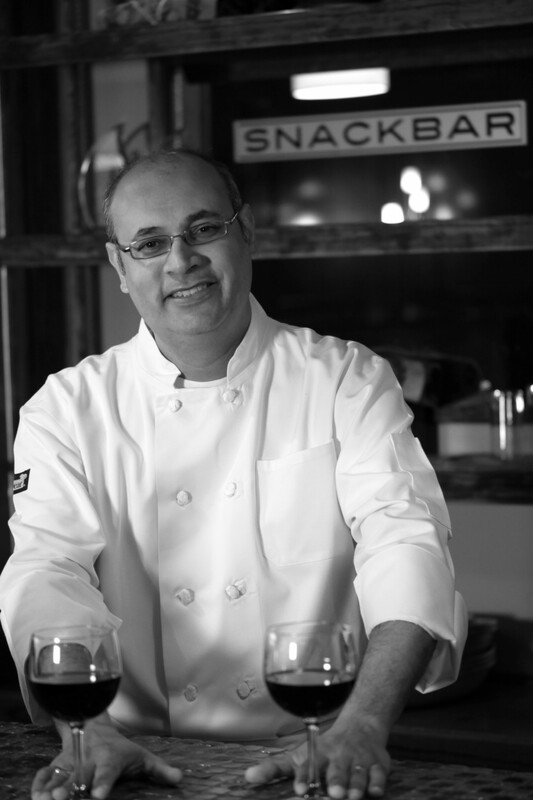 Vishwesh Bhatt, executive chef of Snackbar in Oxford, MS, is famous for cooking Southern food mixed with Brasserie-style cuisine and Indian accents. His infuses three very distinct cultures into his cooking with precision, sophistication, and accessibility. For the event, Bhatt made two traditional Indian dishes using ingredients found in the South of the U.S. — dahi puri chaat with sprouted sea island red peas, sweet potatoes and pickled mustard seeds and missmati rice upma, a traditional South Indian breakfast dish that he turned into a dinner entrée by incorporating braised short rib, mushroom, peas, and spring onion. Bhatt once told NPR that when he started cooking in Mississippi, he never wanted to be the cliché Indian guy in the southern town cooking ethnic food. However, after Snackbar began to receive high ratings, he found that he couldn’t help but add a little bit of India into his cooking. The multiculturalism he’s brought to Snackbar and to the traditional Southern town of Oxford has been embraced by the community and continues to garner critical acclaim. 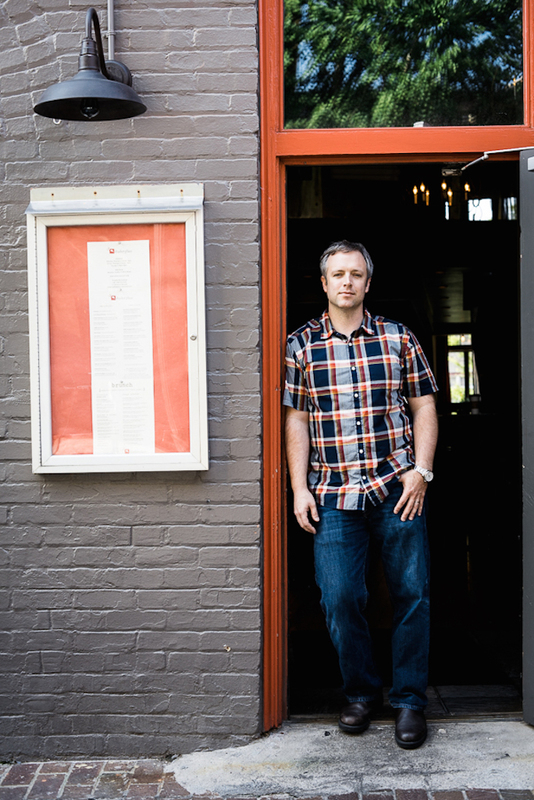 David Bancroft of Auburn’s Acre reinterprets southern food through a contemporary perspective. Bancroft was rated one of nine Southern chefs to watch in 2017 by Zagat. Travel and Leisure named Acre the best farm-to-table restaurant in Alabama. 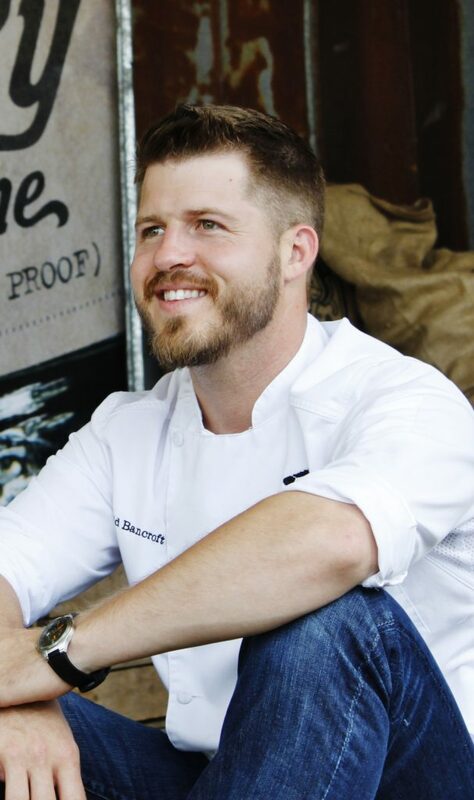 Bancroft sources his food from the Blackbelt region of the U.S. and in the urban garden at his restaurant. For his hors d’oeuvre at the Celebrity Chef Tour, he made grilled Area 3 oysters with fermented, curried peppermash. He also cooked the first entrée of the night — a deconstructed “eggy potato salad” made with fried potatoes, Duke’s mayo in the remoulade, accents of whipped egg yolk, shrimp, pickle brine jam shaped into mini cubes, and grated lamb jerky. It was the most inventive dish of the evening. 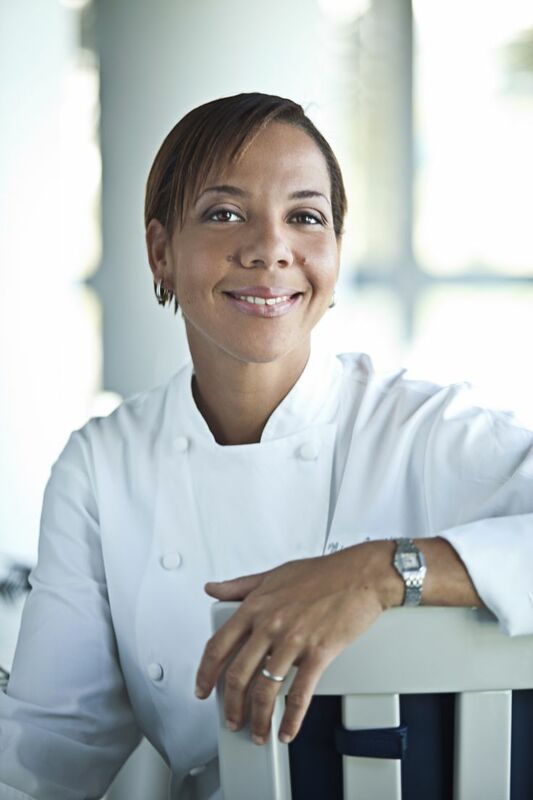 Nina Compton, runner up from Season 11 of Top Chef, traveled from her new home of New Orleans to attend. Compton recently opened Compére Lapin, a restaurant that uses Creole and Caribbean folktales about a mischievous rabbit named Compére Lapin, as well as the flavors in that region and French and Italian influences, to inspire the menu. We live during a time when chefs can use their imagination and pull off an idea as distinctive as this, because the public is open-minded and curious to see what chefs can dream up. Compton does all this inside a hotel no less, The Old No. 77. Her dishes for the Celebrity Chef Tour were full of thought and bright flavors. For the hors d’oeuvre, she made coffee cured himachi with a lemon emulsion and avocado crema on top of brioche. Compton’s entrée — a raw salad of cucumber ribbons, edible flowers, shaved grapes and apples, green string beans, and trout roe in a bath of buttermilk — was served second in the course procession. 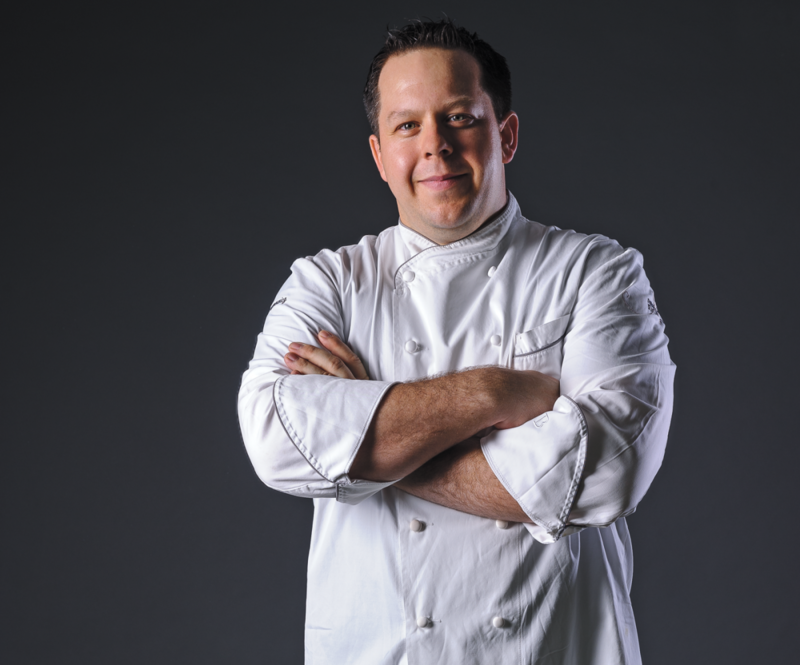 Eric Gabrynowicz spent most of his career based in New York State and now resides in Asheville, working with the Tupelo Honey restaurant group. Gabrynowicz is a four time James Beard Semi-finalist, who also works as a food system activist. He used to run Danny Meyer’s Union Square Café before moving to Restaurant North in the Hudson Valley in 2010. For the event, he made hand pies filled with lamb rillette, garnished with yogurt and chow chow. Gabrynowicz also provided the third course of the evening — heads on North Carolina shrimp with carrot purée, fresno black garlic, and claytonia, known as the miner’s lettuce. William Dissen was the host of the evening. The event took place at his restaurant, The Market Place, that’s about to celebrate its 38th anniversary (which is like a 250-year anniversary in restaurant years). In typical Market Place fashion, swanky live jazz played as guests dined at their respective tables and mingled around the bar with flutes of rosé. Dissen made North Carolina crab and heirloom corn fritters with tomato jam canned a year prior and queso fresco as his starter. His main plate was the final course — wood roasted rabbit sausage colored green from wild ramps, accented with a morel mushroom jus, carrot, and a dehydrated beet crumble.